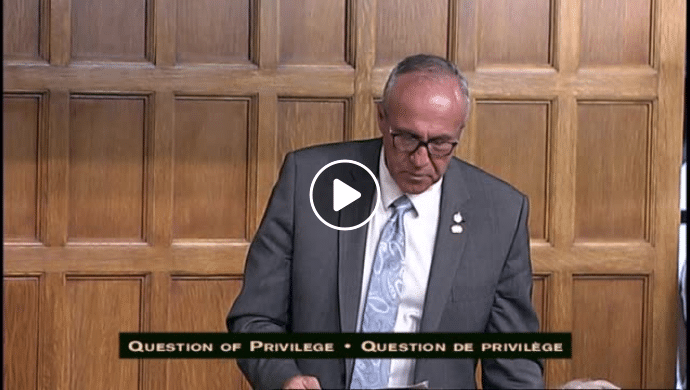 MP Glen Motz speaks in the House of Commons on 29 May 2018. Source: Glen Motz, Facebook. TheGunBlog.ca — Canada’s RCMP revised its website on Bill C-71 today after an opposition member of parliament said the federal police enforcing draft legislation undermined parliament’s authority to decide the law. 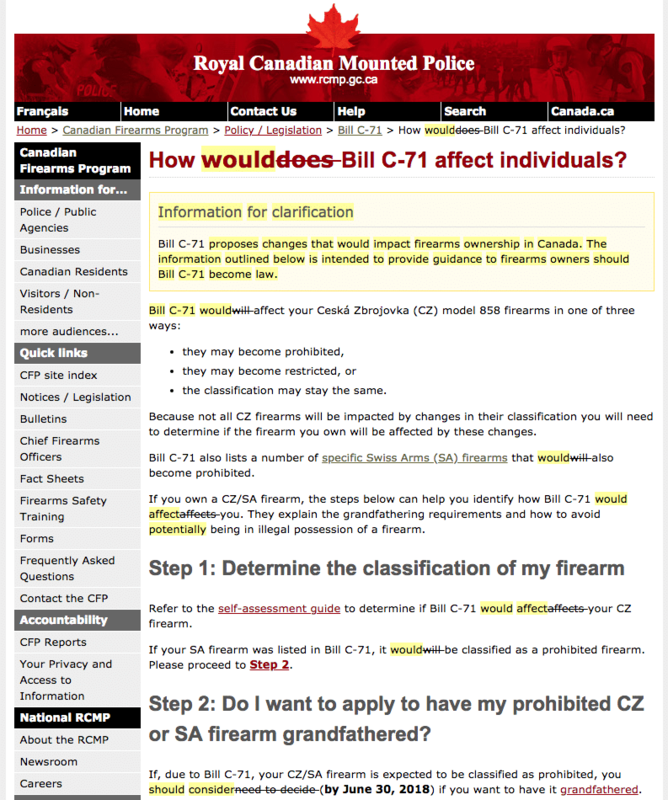 The Royal Canadian Mounted Police changed the title on a web page on the planned law to “How would Bill C-71 affect individuals?” from “How does Bill C­-71 affect individuals?” The police also added an introduction to show the information is “intended to provide guidance to firearms owners should Bill C-71 become law.” The RCMP said May 16 it was “in the process of reviewing” the web pages. The Liberal Party-led government proposed Bill C-71 in March to ban more guns and further restrict lawful, licensed, legitimate hunters, farmers and sport shooters. If passed into law, it would threaten as many as 15,000 gun owners with confiscation and prison if they failed to comply with new ownership requirements, and would make it a crime to take firearms to a gunsmith or abroad without special permission from the police. Yesterday, Motz rose in parliament to question the appropriateness of the website. As TheGunBlog.ca reported May 9, the original wording suggested the RCMP was enforcing Bill C-71 as a sure thing. The bill is still being reviewed by a committee of the House of Commons. Until draft policy is adopted, it’s theory and has no force of law. A challenge for any government agency is to strike the right balance between informing people about possible policy changes in time for them to take any needed action, without undermining parliament or assuming a draft text will pass as written. That challenge is amplified by Bill C-71 because it set a deadline of June 30 for certain requirements, even though the text may not be adopted by then and may never become law. Motz, who worked for 35 years as a police officer before being elected to parliament, said today he hadn’t seen the RCMP’s updated website. He followed up in a late session of the House of Commons on May 30 after becoming aware of the revisions. We appreciate your inquiry; it gave us insight that clarity is required on the RCMP Canadian Firearms Program (CFP) Bill C-71 web pages. The CFP is currently in the process of reviewing the information that was posted, with this in mind. 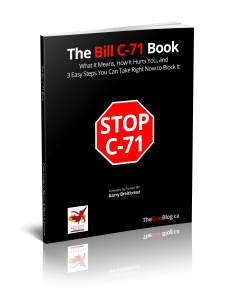 The information provided on the Bill C-71 web pages are intended to inform those who have potentially affected CZ and SA firearms currently in their possession of their options and eligibility requirements for grandfathering, should the Bill be brought into force as law. The website only instructs individuals to register any firearms that are currently, by law, required to be registered. Any client in possession of a CZ firearm that is currently classified as being restricted, must have that firearm registered with the Registrar of Firearms to avoid being in illegal possession of their firearm. This current registration requirement is tied to the proposed provisions of Bill C-71, as it would become a condition for grandfathering. Update 1, 31 May, 10:25 Toronto time: Adds RCMP comment from two weeks ago on reviewing website. Update 2, 01 June, 13:15 Toronto time: Adds Motz’s comments to House of Commons on 30 May.